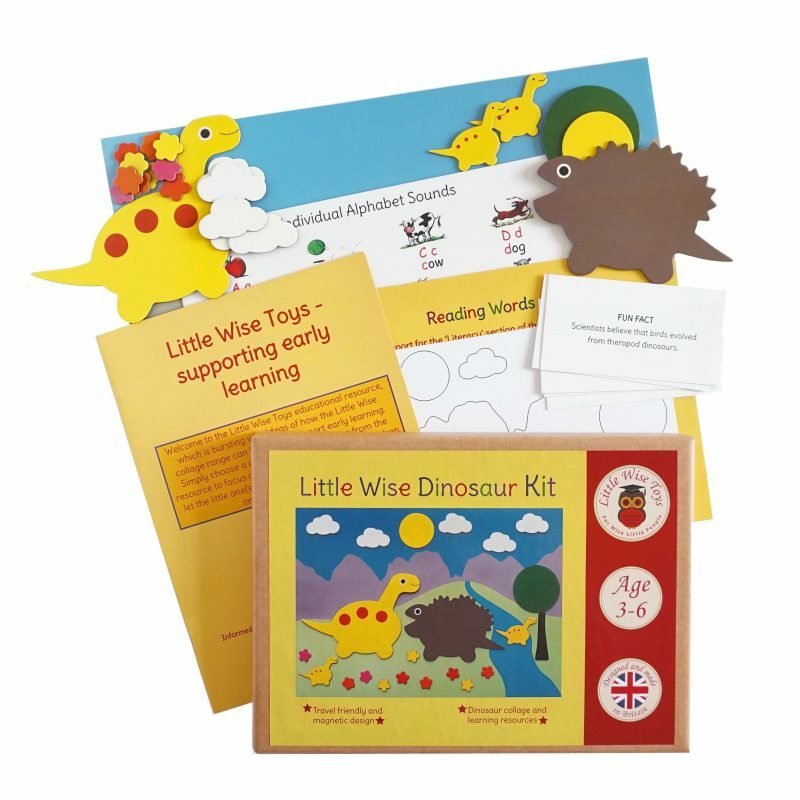 Travel friendly Little Wise Dinosaur Kit – offering a magnetic dinosaur collage, plus lots of fun and interactive resources supporting early learning for 3-6 year olds. 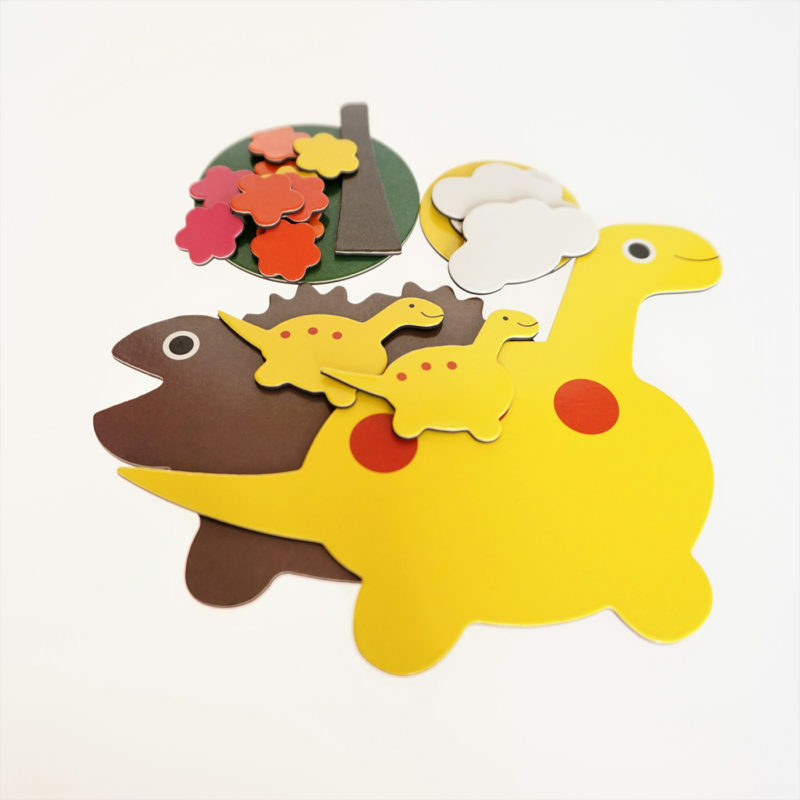 The Little Wise Dinosaur Kit is a magnetic educational toy offering a fun and interactive way to support early learning for young kids aged 3-6. 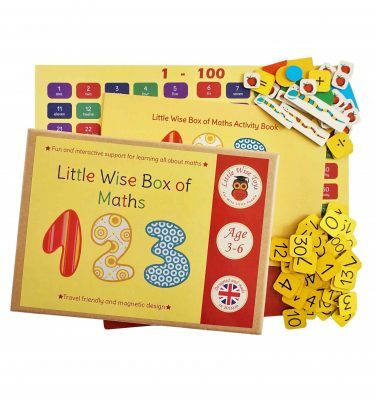 Everything comes in a nice and compact size box making it an ideal travel game for kids. The box is designed with a tray lid, perfect for keeping all the different shapes safe while creating collages on the move or at home! 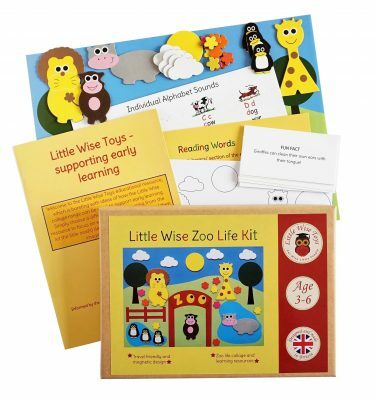 A very informative educational resource which is bursting with ideas of how the kits can be used to support early learning across the age ranges 3-5 and 5-6. 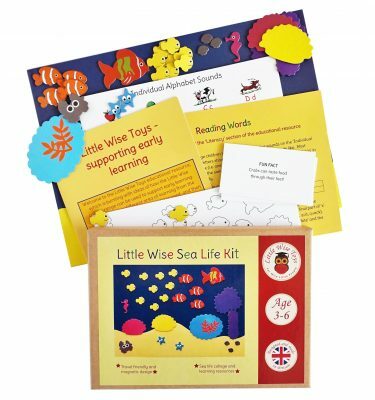 Some examples of the areas of learning covered include literacy (inclusive of a range of colourfully illustrated practical tools for teaching little ones how to read), numeracy, geography/understanding the world, verbal communication and emotional health. 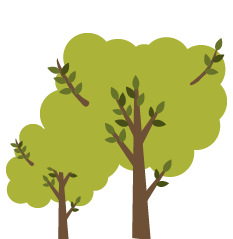 All areas of this resource have been informed by the Early Years Foundation Stage (the pre-school equivalent of the National Curriculum) and Key Stage 1 of the National Curriculum. 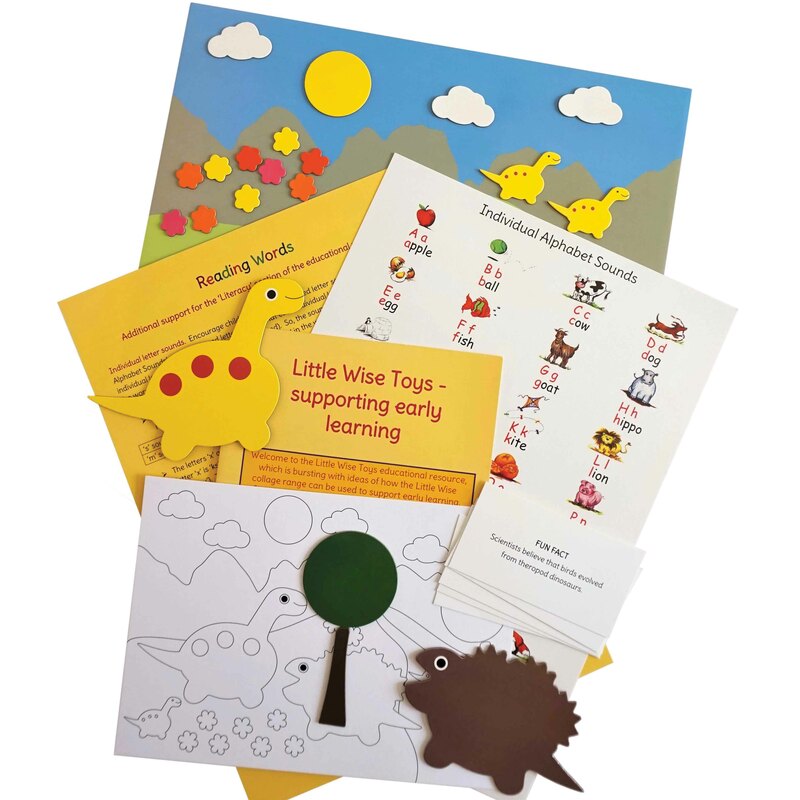 The educational resource has also been developed in consultation with early years specialists. 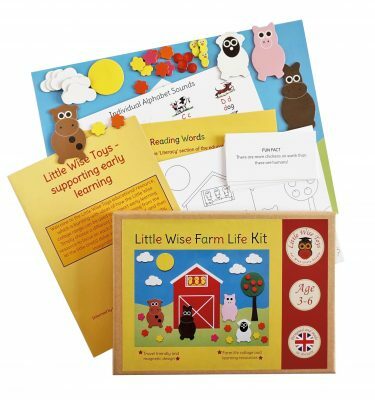 You can see reviews of the full range of educational and learning toys here.